We LOVE making themed cakes! Any excuse to be able to make fun little characters/decorations/creatures works for us. And we'll be the first to admit, sometimes it's too easy to get carried away making item after item to go on the cakes! There's just so many ideas that come out once we start creating things to go with the theme! 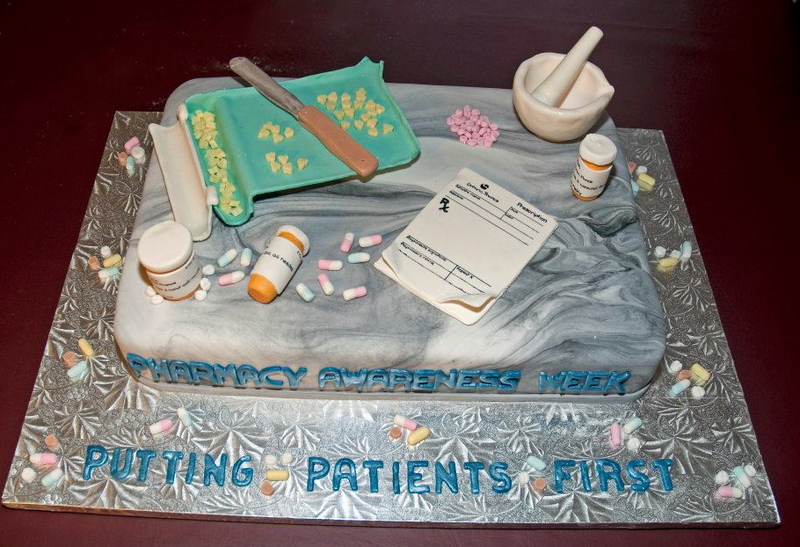 This week there were two themed cakes on the books. 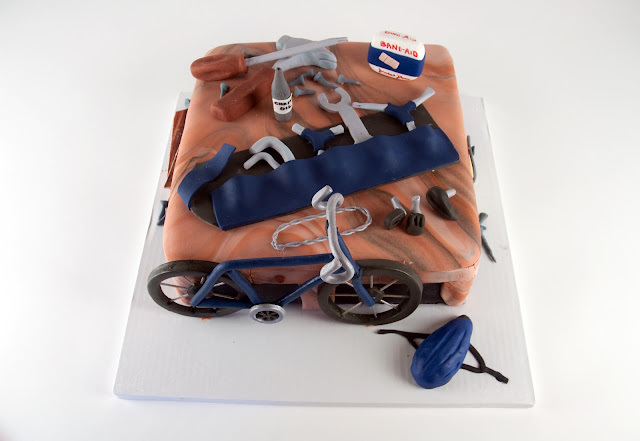 One was a super fun handy-man/bicycle themed birthday cake, and the second was an outdoorsy/fishing retirement cake. First up was the birthday cake. We were told that the birthday boy was a handyman who loved cycling. So many directions to go in! 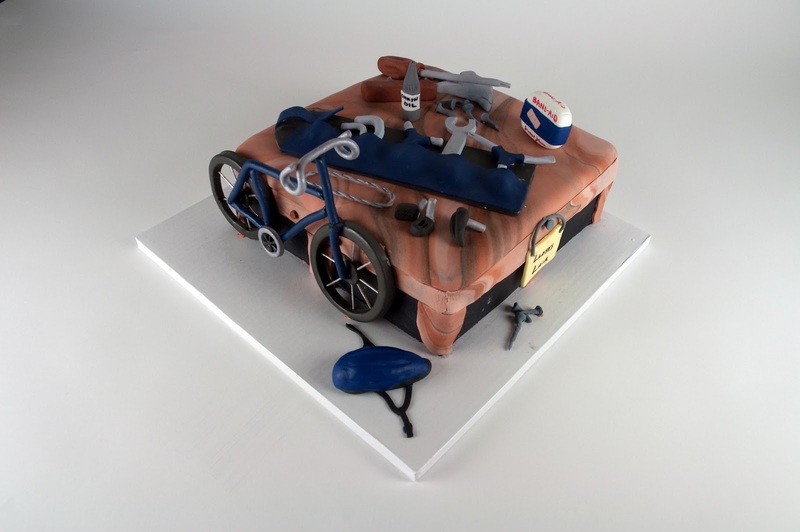 We decided on a workbench shaped cake, complete with all the tools one would need to work on, what else, a bicycle! 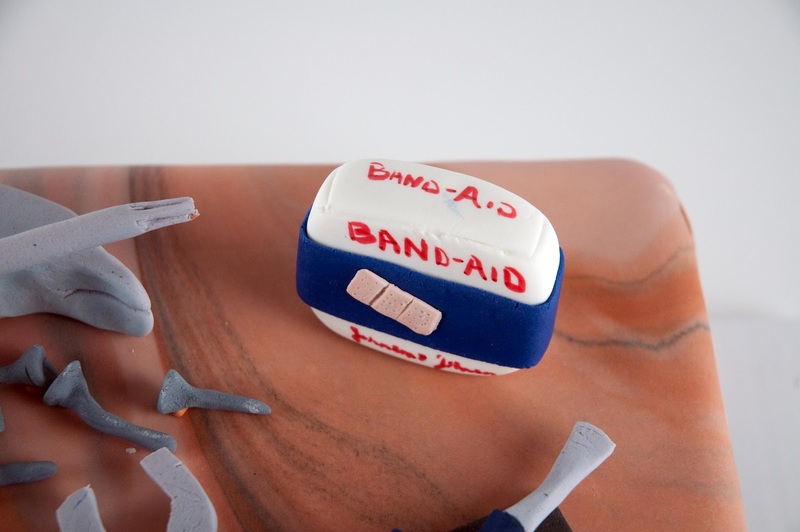 And of course, what workshop would be complete without a gumpaste box of band-aids! Next up was the retirement cake! We were told that the lucky retiree enjoyed the outdoors, nature and fishing. Luckily so do we! We took inspiration from numerous camping trips in the past and created some super cute trees, rocks, a fire pit, a tent, a pond, a fishing pole and of course, a happy little fish! This cake was done without fondant, so it's just covered in lots and lots of delicious cream cheese icing! Underneath is, of course, red velvet cake! Be sure to check us out on Facebook at www.facebook.com/sugarbirdcakery, on Twitter @sugarbirdcakery and on Pinterest at www.pinterest.com/sugarbirdcakery. Love the outdoors retirement cake!! Would like to know what you used to make the logs and rocks? So it looks like we've been slacking with our blog posts again! We must be into the busy wedding and party season :). We've had a VERY busy few weeks with some super fun (and delicious) results! First, we'll start with all of the fun party cakes that we've been making recently. Happy Sunday everyone! 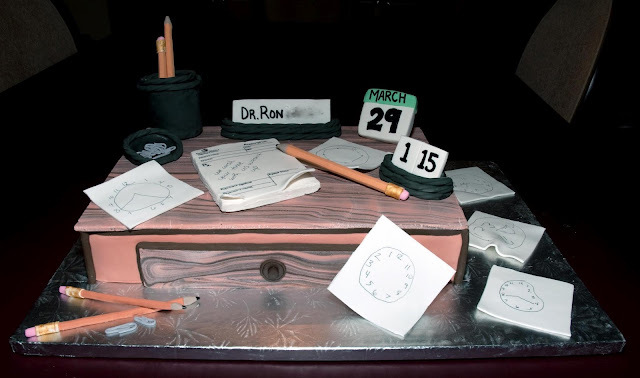 Today's post features some of our recent retirement and birthday cakes. We LOVE doing these types of cakes as we're able to bring in elements of each person to truly personalize each cake. These cakes are a lot of work and take hours to complete all of the little handmade decorations but we absolutely love seeing the finished products and seeing and hearing reactions from our clients :).